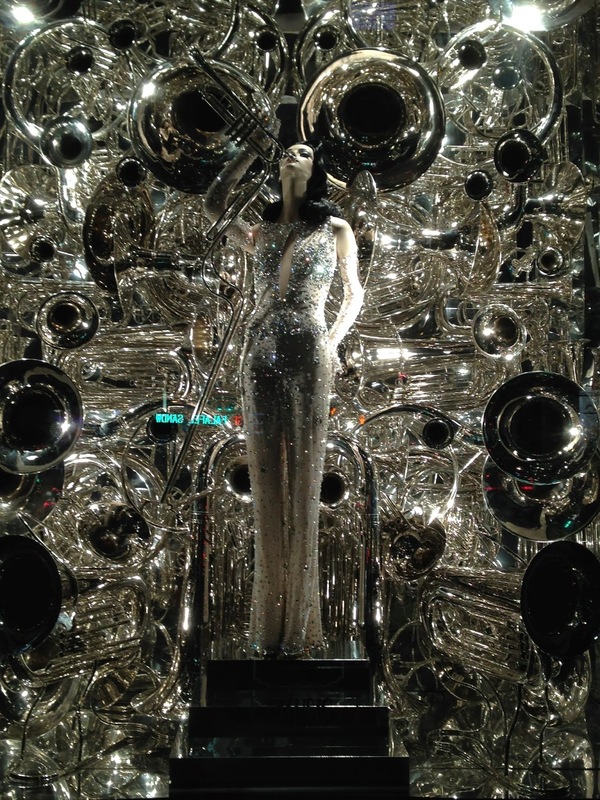 A late-night winter stroll down Fifth Avenue is never complete without a stop at the glorious windows of BergdorfGoodman. 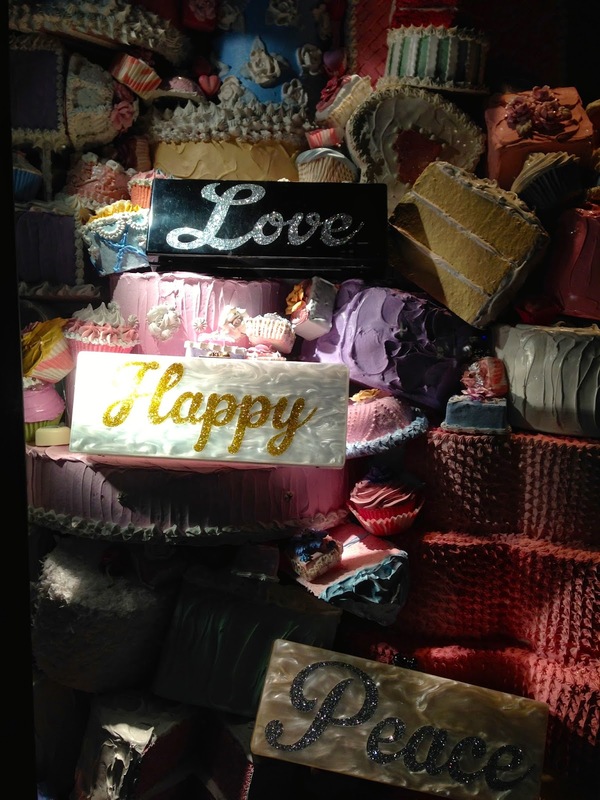 When the holiday season rolls around, designer John Hoey pulls out all the stops to create displays that literally stop tragic with their extravagance and glamour. 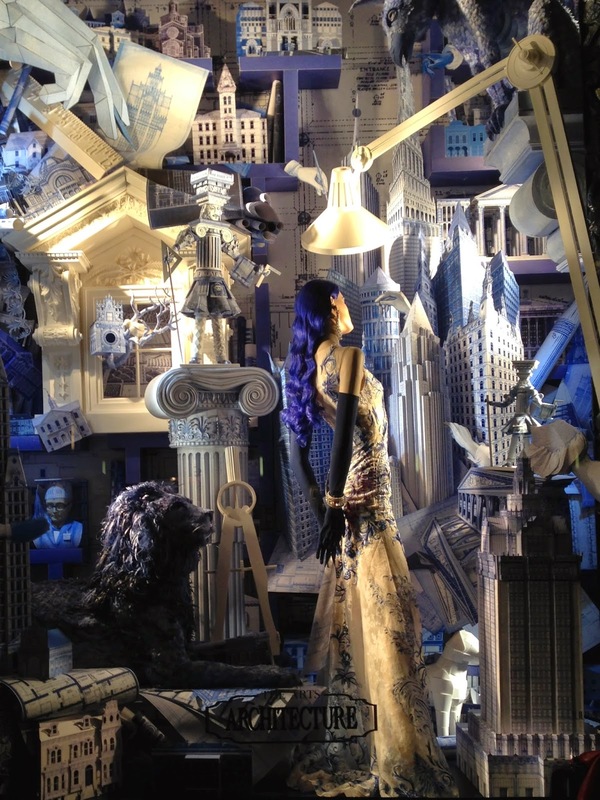 This year, each window was designed independently under major art themes. Here's scene to toot your horn about! These sweet treats look good enough to eat. Made entirely of fabric, soft sculptures and needlework, this window celebrates the imagination of literature. Architecture is put on a pedestal in this window with forms made of paper and blueprints. 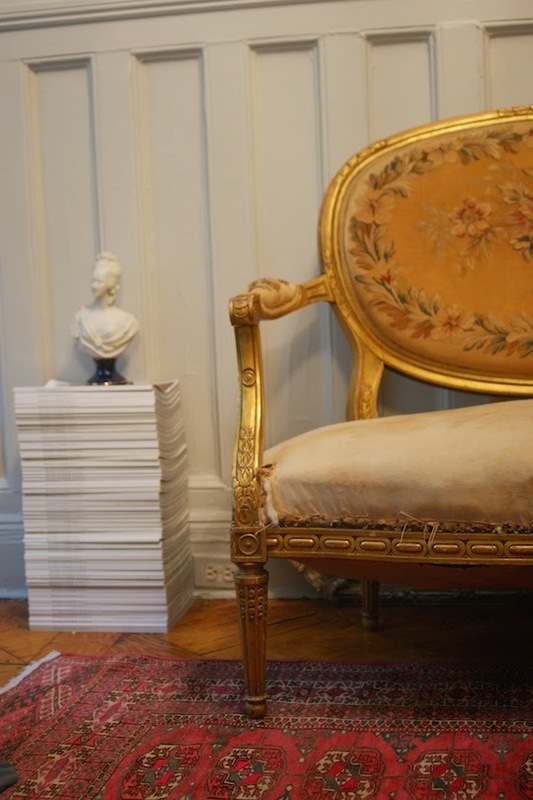 I met Lazarus Douvos on a hot summer day this yearand was taken aback by the way he transformed his miniature, Midtown rental apartment into a regal, yet functional space. You can practically stand in one place and make a 360-degree turn to see all the wonders this space beholds. But do so slowly so as not to miss one charming detail. With her blessing, he gave up his salon of 14 years, sold his country home and left his family and friends for New York City to live temporarily on a mattress in the corner of a friend’s apartment in Midtown East. 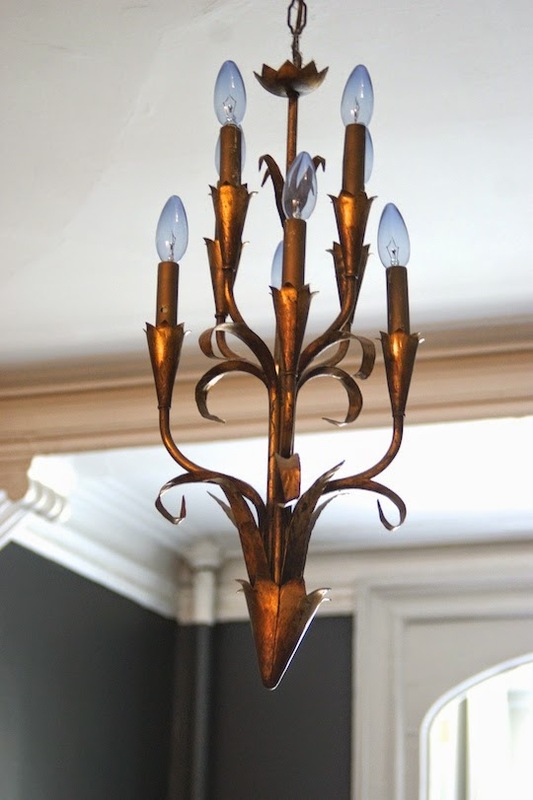 The convenience of the neighborhood, with easy access to transportation and its proximity to well-heeled clients, appealed to him, so when he started looking for his own place to decorate with flea market finds and 18th Century French antiques, he stayed local. It didn’t take him long to find a space that caught his eye: a first-floor, 325-square-foot studio with intricate paneling and moldings, high ceilings, charming wooden floors, a large bathtub, a walk-in closet and from its stoop, a glorious view of the Empire State Building. The nearly pristine condition of the apartment was what was most appealing, since it needed little more than a paint job. 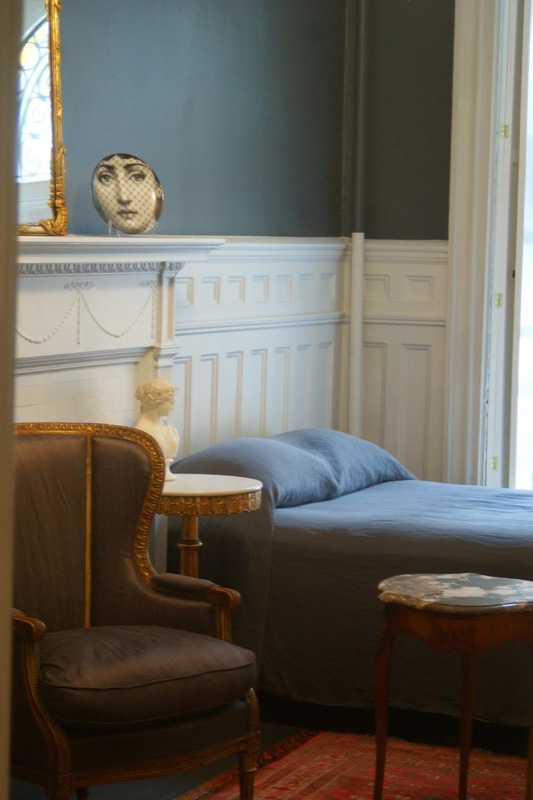 He opted for Restoration Hardware's Pumice for the moulding and Pratt & Lambert's Anthracite for the walls, which he applied himself. 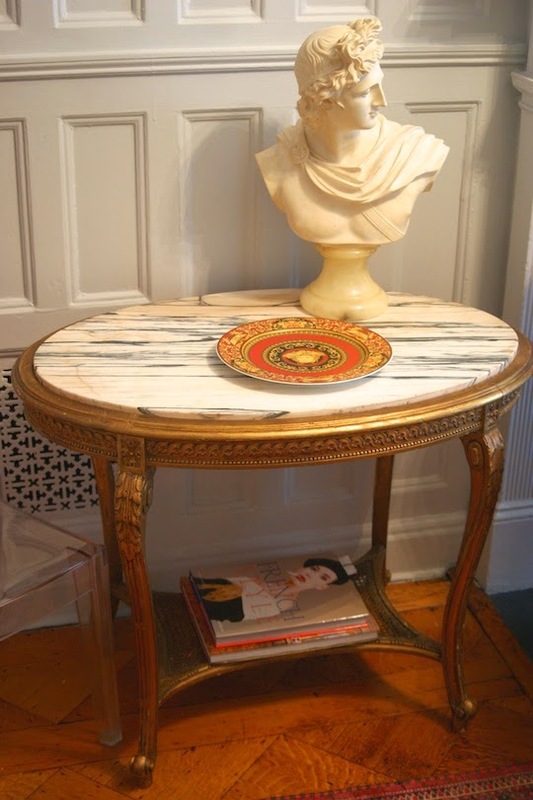 Douvos cleverly mixed high-end antiques with flea market finds. 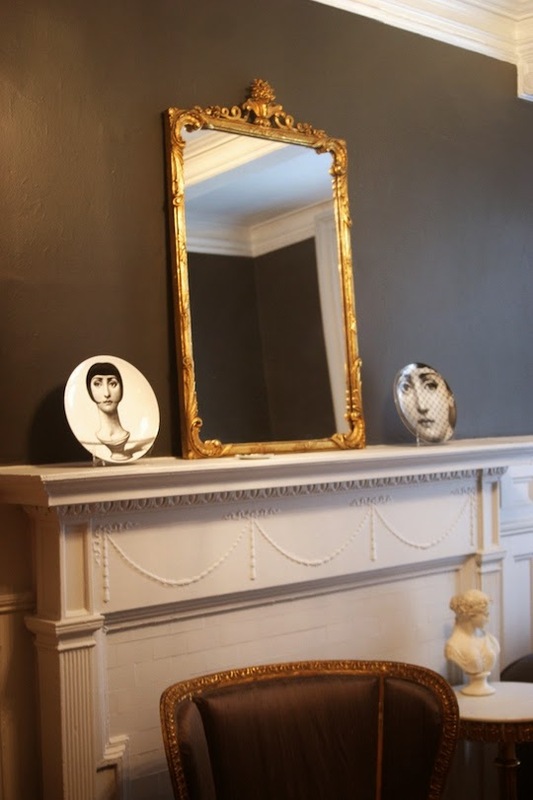 Here, he a pair of Fornasetti plates frame an 18th Century gilded mirror purchased for $25 at the Hell’s Kitchen Flea Market, NYC. It reflects a fabulous, Italian gold-leaf light fixture from a flea market in Upstate New York and a portrait of model Milou Gort, photographed by Andrew Rinkhy. 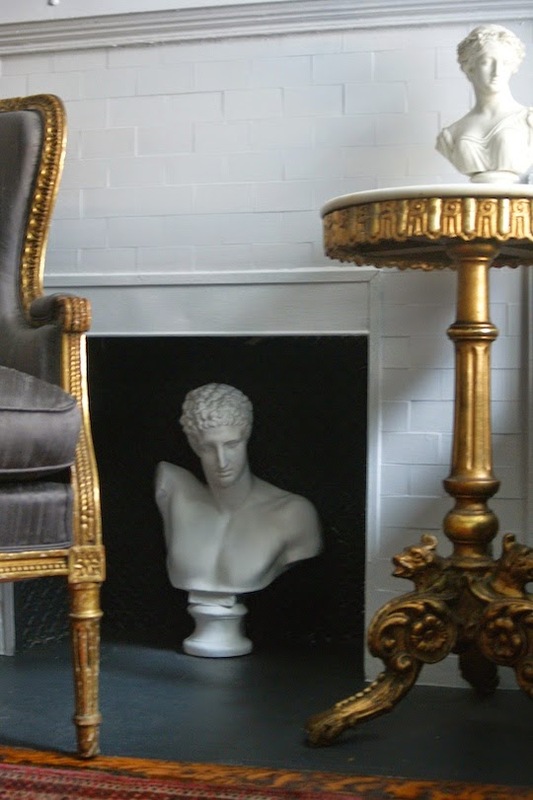 His 18th Century Louis XVI wing chair from Charles Cheriff Galleries, NYC, and a 19th Century Louis XV side table from Bijan Royal, NYC, accent a bust of Hermes in fireplace. 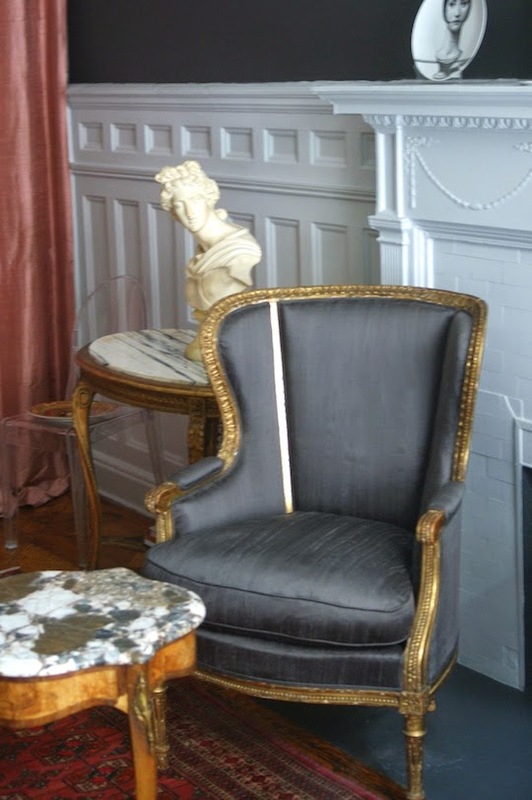 The antique table in front of the chair was a gift same client who gave him Aphrodite. The window and the view are Lazarus' favorite elements. "The size of the window makes me feel connected to the city through its street view. 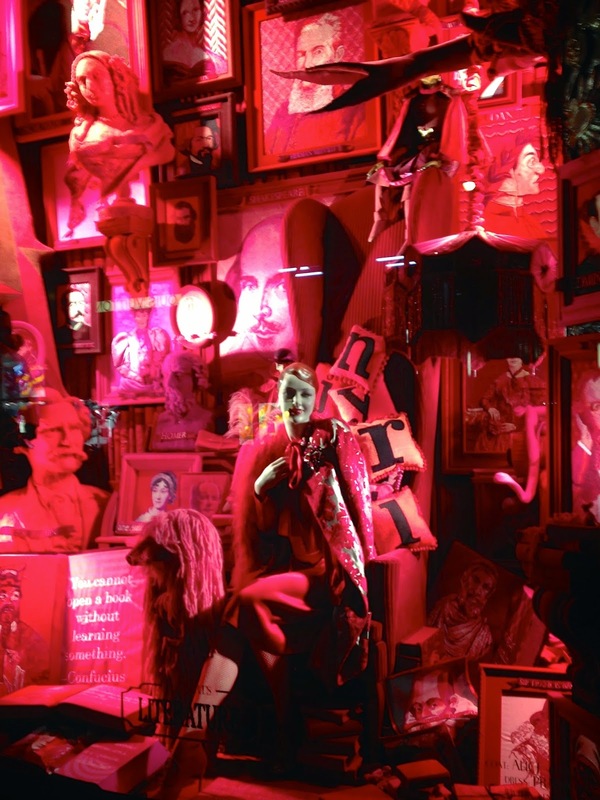 It sort of brings the city in and gives the small apartment a feeling of space and openness." 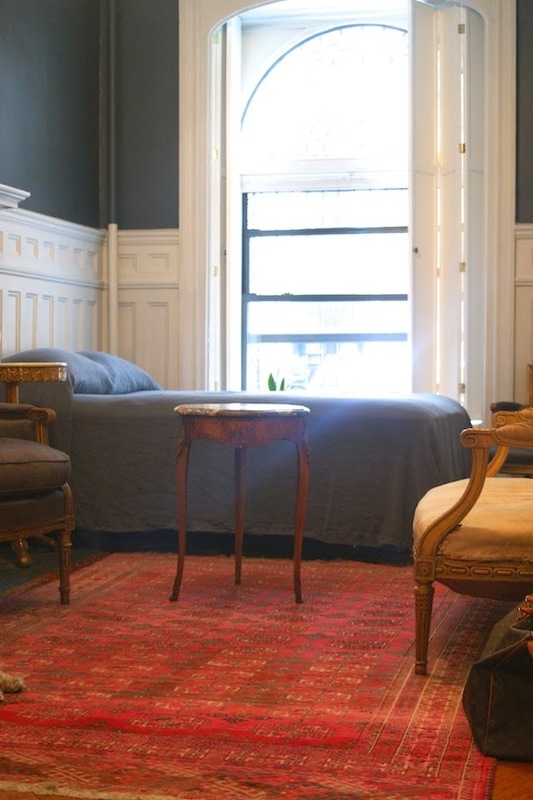 He had the window shutters custom-made, and chose Society linen/silk bedding from ABC Carpet & Home, NYC. His Persian Oriental rug came from Harounian, NYC, and the18th Century Louis XVI chair in the corner by the bed was a bargain ($25!) from the Hell’s Kitchen Flea Market, NYC. An 18th Century Louis XVI gilt settee from Charles Cheriff Galleries, which since this shoot, has been reupholstered. 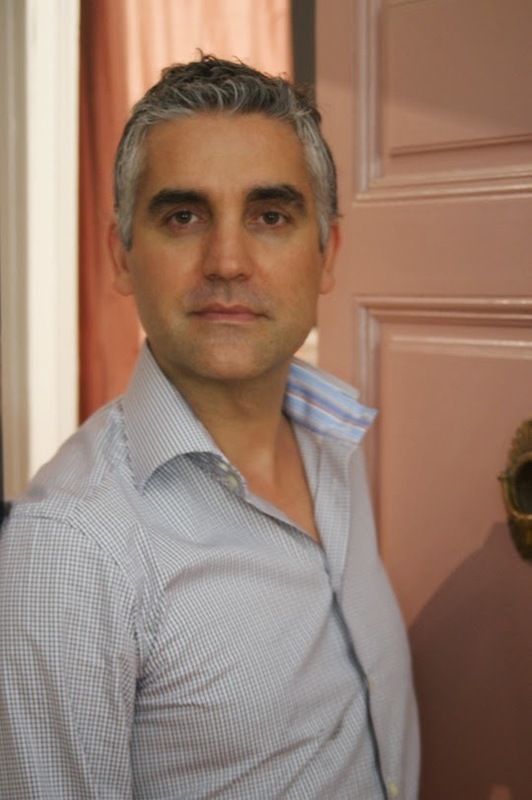 Lazarus, who is a stylist for Laicale Artists, transformed his dressing room into a space to prep clients before shoots and events. He painted it the same color as the main room to enforce consistency in the space and installed a floor-to-ceiling mirror on the west wall for a salon effect. 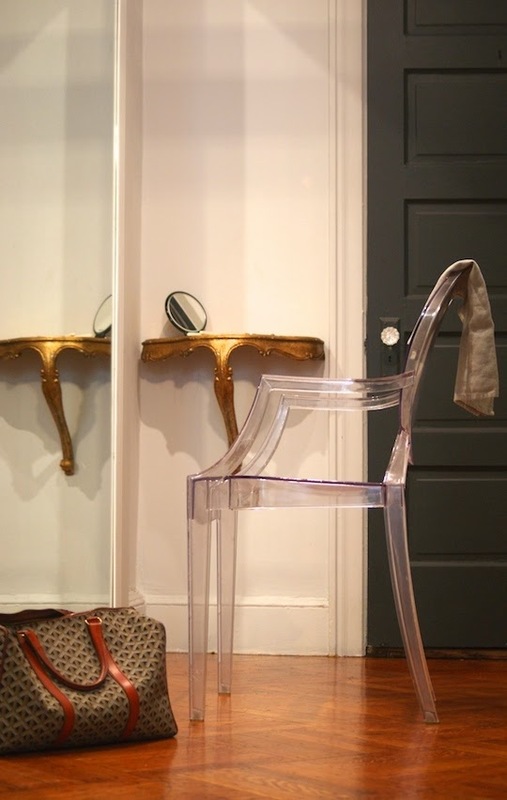 A Louis Ghost chair by Philippe Starck for Kartell resides next to Italian Rococo wall sconce from Hell’s Kitchen Flea Market, NYC, where he keeps the tools of his trade. The kitchenette on the north wall of the studio was functional, yet Lazarus covers it with a retractable silk curtain when not in use. Even though his apartment is small and he wishes he had more space, he has no plans to leave his lovely home any time in the near future. 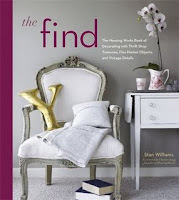 But he does have some advice for others looking to make a diminutive space beautiful, yet functional. "In a small studio, split the space into three areas: the bedroom area, the sitting area, and the dining area," Lazarus says. "Don’t give up on what you would do in a bigger space just because yours happens to be small. " And now that you seen his home, be sure to check out his extraordinary hair styling talents on his website, http://www.lazarusdouvos.com .